The First Ontario Credit Union in Simcoe have generously donated $500 toward the Children’s Christmas Party. Their staff have raised funds through their dress-down Friday campaign to help community children. Their kindness is very much appreciated. 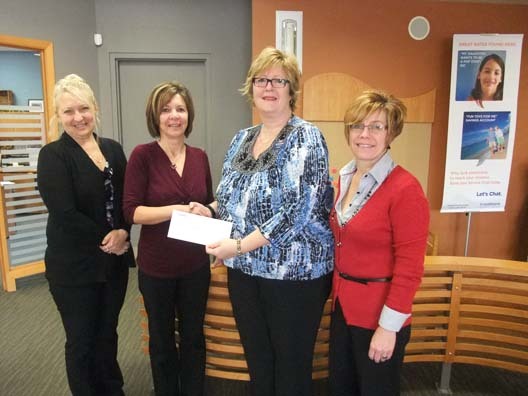 Pictured here from left to right is Sherry, Shari Gardener, Annette and Beth of the First Ontario Credit Union.